Are you too looking forward to this Janmashtami? With the lavish spread of yummy food and sweets, it’s no wonder that many are. 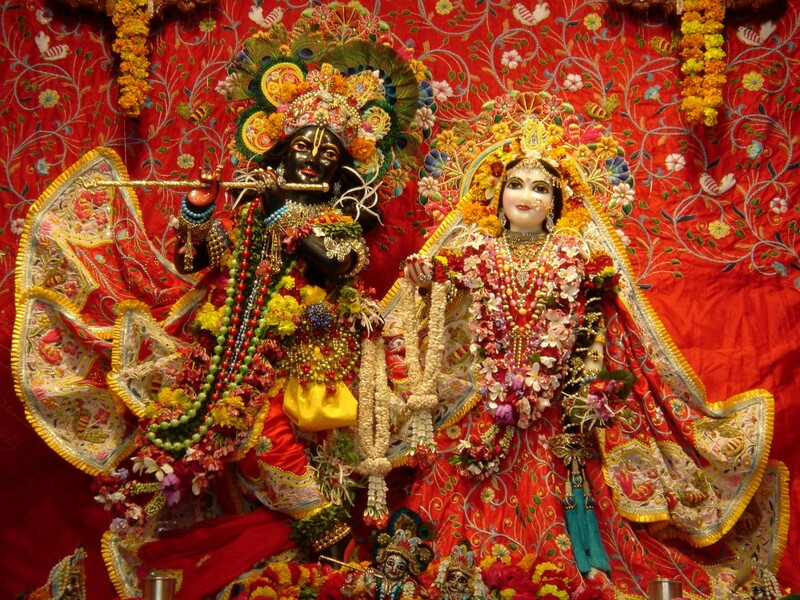 Janmashtami is celebrated as Lord Krishna’s birthday. In Maharashtra, crowds watch and cheer as teams of youngsters build a human pyramid and attempt to reach a pot of butter or curd hung high above the ground. In other parts of the country, temples are decked with lights and flowers. Devotees throng to worship in the late hours as it is believed that the God was born at midnight. Most people fast on this day, breaking it only on the assigned time with prescribed ingredients. Though some people do not keep fasts, they love preparing treats for family and friends who do. Here are some favourite non-fail recipes to try this August. First off is a snack loved in many forms – the pakoda. Pakoda or fritters are deep fried till golden brown and have crispy centres. While gram-flour fritters or besan ke pakode are common, the texture of sabudana or tapioca pearl fritter is just something else. Soak the tapioca pearls in enough water for about 3-4 hours or overnight. Drain and keep aside. Boil the potato then peel it and chop roughly. Now roast the peanuts in a pan till they become brown. Let them cool and become crisp. Now add these to the soaked tapioca and mix. Adjust the seasoning as required. Heat oil in a pan. While the oil is getting hot, make balls of the mixture with your hands. Drop the balls in the hot oil and fry till light golden and crisp. You can serve these pakoras with tomato ketchup or mint chutney. 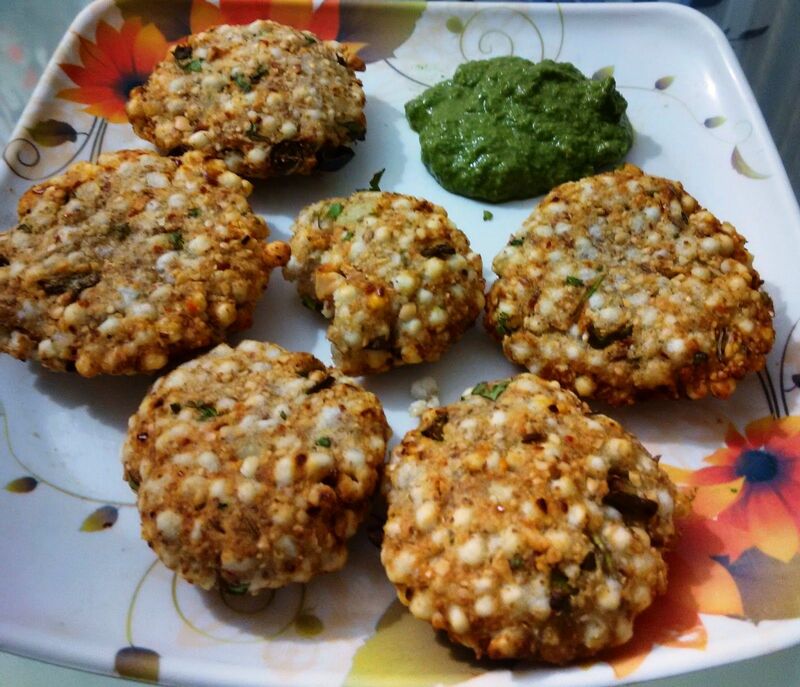 When fasting on Janmashtami, rotis and puris made of wheat are not preferred as grains are generally not eaten. So in order to counter that, we have breads made of buckwheat water chestnut flour and so on. 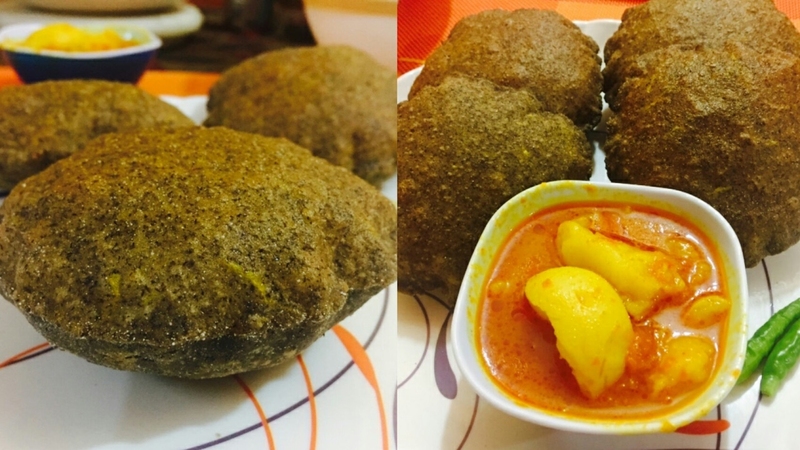 Here is a simple and easy recipe of buckwheat flatbread or puri. It is rich in flavour and has an interesting texture. Mix the buckwheat flour, cumin seeds, chilli powder, and salt. Add the potatoes. Combine well. Add warm water, enough to make a smooth and dough. Let it rest for 5 minutes. Divide the dough into eight equal parts. Oil your palms and make the dough into smooth balls. Press them slightly on the dry flour to coat them on both sides. Roll the dough, adding a bit of flour if they get sticky. Heat oil in a pan. When it is hot, slide the puri into it. It should puff up. Turn it over when the side becomes brownish grey. Drain it on a plate with a paper towel placed on it. Repeat with the rest of the dough. Serve hot with aloo tamatar ki sabji (potato with spicy tomato gravy) or any other gravy. We’ve made the flatbread, now for some gravy to go with it. You will love the simplicity of aloo tamatar ki sabji or potato with spicy tomato gravy. It takes minutes to make and is a year-round favourite. Here is the recipe. Break the potatoes into small pieces and roughly mash some of them. Heat oil in a saucepan over medium heat. When hot, add the cumin seeds and asafoetida. Then add the tomatoes until they are soft. Now add the spices – coriander powder, chilli powder, turmeric powder, and ginger. Keep frying till the oil separates. Add the potatoes and mix in the water. When the water comes to a boil, cover with a lid and turn the heat to medium. Let it cook for about ten minutes. Adjust the water to your liking. Add garam masala, chopped green chillies, and coriander. Cover with a lid and turn off the heat. Serve hot. Another popular and healthier snack option during fasts is the fruit chaat. It is spicy, tangy, and lighter than fried, oily stuff. You can enjoy this chaat every once in a while. For Janmashtami, use rock salt instead of the usual iodised salt. Combine all the fruits and potato in a bowl. Squeeze the lemon, add the rock salt and chaat masala to taste. Mix well. You can garnish with a sprig of mint or coriander. You can use any combination of fresh fruits that are available in the market. Let’s move on to a sweet dish now. Try something unusual this year instead of the familiar sweets. Why not singhada sheera? It is a dessert made of water chestnut flour and ghee. It is simple to make and takes well under half an hour to prepare. Heat the ghee in a broad, heavy non-stick pan and roast the water chestnut flour on a slow flame. Stir continuously. Add 2 cups of warm water and continue to stir till all the water is absorbed and no lumps are left. Stir for about 4-5 minutes. Now add the sugar and keep stirring. Do this for another 4-5 minutes. Switch off the heat and add cardamom powder. Mix well and transfer to a serving bowl and garnish with almond flakes and pistachio slivers. Serve hot. Another favourite this time of the year is kheer. This rice pudding finds its way to your heart on every occasion. You can make normal rice kheer if you want, but here we have for you phool makhane ki kheer or puffed lotus seed pudding recipe since it is Janmashtami. Heat ghee in a non-stick pan. Pour milk into another deep non-stick pan and let it come to a boil. In the meantime, add the puffed lotus seeds to the heated ghee and sauté lightly. Take it off the heat. Add mawa and sugar to the milk and allow it to boil on low heat. Next, add the sautéed lotus seeds to the milk and mix lightly. Add in the almonds and pistachios and cardamom powder to this mixture and stir. Mix well and allow to cool. Keep the kheer in the refrigerator to chill. The list of delicacies to prepare on this day are endless. You can make shrikhand, banana chips, sookhi arbi or brindavani ghuiya, rajgira paranthas, and many such mouth-watering recipes. 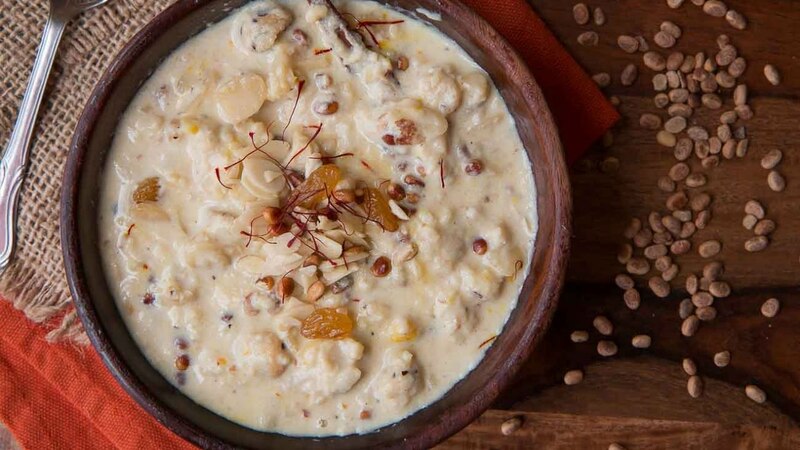 Be sure to stick to the ingredients allowed on Janmashtami and steer clear of the items that are taboo on this day and you’ll enjoy preparing the dishes as much as eating them. Have a joyous and blessed Janmashtami.